Each year they play a secret game: Crushed. The girls pick their targets carefully and blow enchanted dust into the boy’s faces, charming them, but this year Kristen makes a grave mistake. She chooses the wrong boy and almost dies that same day. Coincidence? Maybe. But something isn’t quite right about Zach Bevian. He doesn’t behave like a boy who’s been Crushed. He goes from hot to cold, from looking at her with contempt to asking her out on a date. She doesn’t know what to think. Does he hate her or is he truly falling for her? Is he trying to kill her, or is he trying to save her? Crushed really took me by surprise! From the description of the book, I never thought it would be as dark and deep as it was. Crushed isn't just a romance, it also has dashes of mystery and a bit of a thriller feel towards the end. K.C. Blake's writing style was simple, yet very evoking with just the proper amount of description. This book really impressed me! I really loved the whole concept of the game that the Noah sisters played. When the book started out, it seemed like it was going to just be about how Kristen charms Zach, but he actually falls in love with her despite the magic. It had much deeper plots to it, involving Zach's sister. That's what I think the description of this book is missing: that dark feel to it. Crushed explores some interesting themes as well, like the bond between siblings, and how, sometimes love just isn't enough to save someone who doesn't want to be saved. 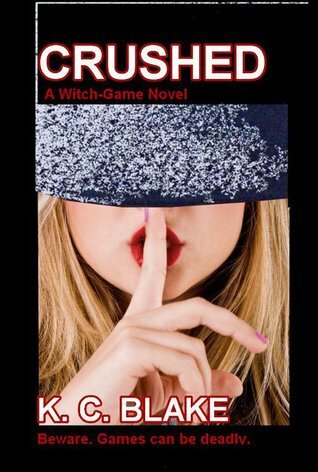 Honestly, if you're a fan of some steamy romance, and an interesting paranormal plot with a thrilling twist, then I would definitely recommend Crushed! 5 out of 5 stars.